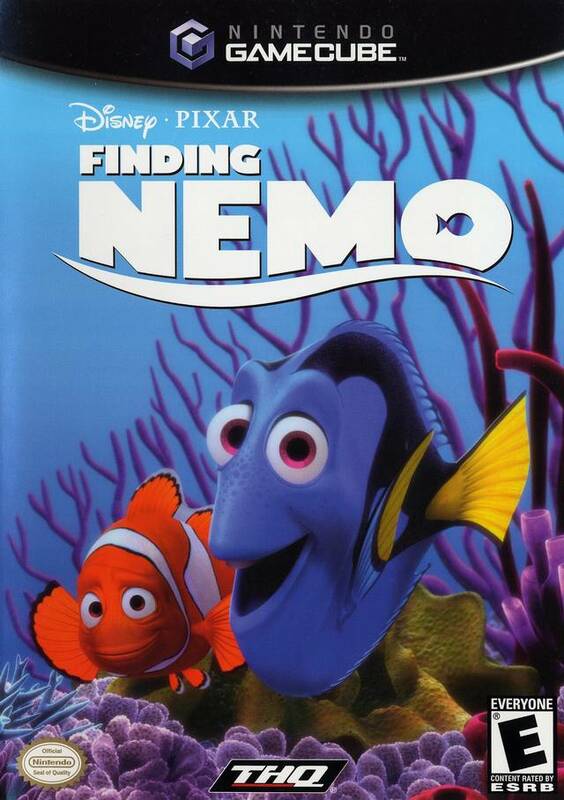 Finding Nemo the video game is based off the Disney Pixar movie of the same name. In the game you play many of the fish from the movie. The game is billed as a kids game, however the later levels are difficult for experienced adult gamers like myself. The amazing amount of things to collect, and tasks to perform will reward the player with gold stars. Gold stars will unlock different secrets, after beating the game. Finding Nemo plays in a lot of different ways. Mainly you are a fish (from the movie) swimming. The game keeps the camera angle fresh. In one level you are going from left to right, in another you are swimming towards the camera, and in still another you are swimming away from the camera. The developers did a good job of spicing it up, so it never got boring. The controls are responsive, and work well. If you have seen the movie, then you already know. Nemo disobeys his father, and because of that disobediance, he gets captured by a diver, and put in a fish tank. Marlin (Nemo?s father) goes on a quest to find his son. Along the way, Marlin meets some interesting characters. The story has some problems with it; for example, a kid talking back to their parent, and talking bad about their parent. Some people will take offense to that. Just a gentle warning. The graphics are pretty in this game. There are a few areas of some darker looking levels that it is hard to tell where to go. Overall though, the underwater graphics are great. The sounds are good, and the music is okay. There really was nothing in the music that had me humming the tunes, and only in a few parts did I find the music annoying, but that could have been the challenge of that area. I would have to say pretty appropriate. The only questionable part is the part of the story that portrays children was superior to adults. The movie has more of that, than the game does. The game has no violence in it, a lot of puzzle elements. Teamwork is stressed in the game. There is a lot of good in this game. This game starts off really easy, and gets harder as time goes on. The unlimited continues really helps ease frustration in later levels. I found the game to be very fun, and engaging. It is also a little addicting, as you want to finish the level. If you are looking for a safe game for your kids, or even a good action adventure for yourself; I would recommend you at least rent Finding Nemo. God bless you, and thank you for taking the time to read my opinions.